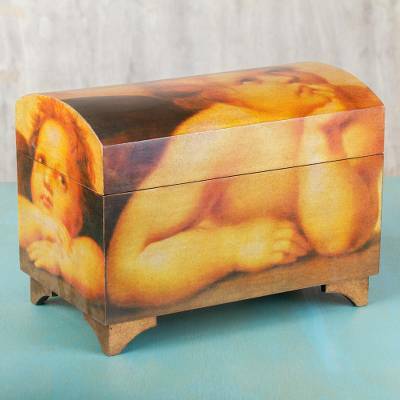 Handcrafted Angel Decorative Wood Box, "Cherubs"
Raffaello Sanzio's renowned and beloved Cherubini now grace this decoupage chest by Mexico's Ana Maria Gonzalez. Lost in thought, the cherubs admire Mary in Raffaello's painting in the Vatican's Sistine Chapel. 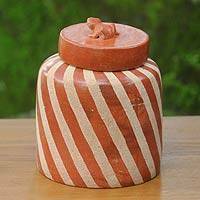 Crafted of pinewood, the chest is finished with a unique tar-based polish that Gonzalez prepares to achieve an antique look.